The capital is buzzing with activity it seems. I wonder if this will go through. 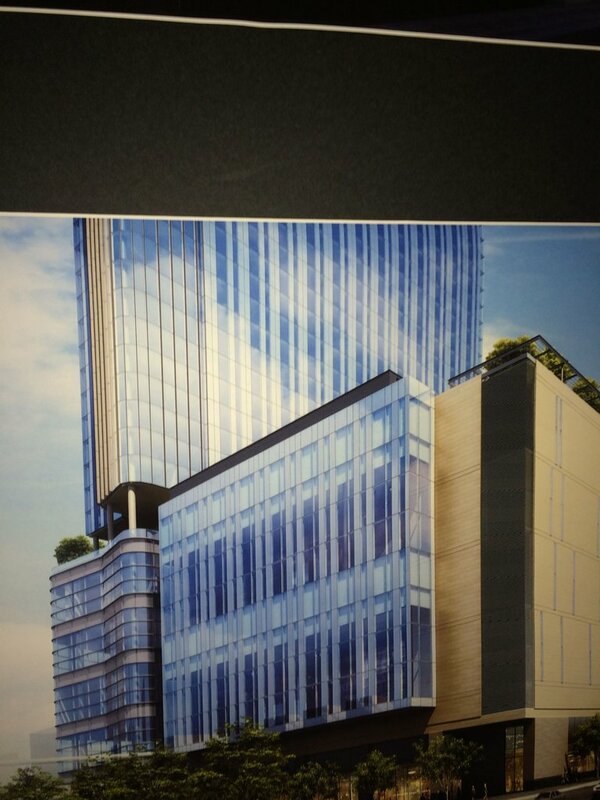 New Rendering, will be the new tallest building in Austin. Construction should begin sometime in June. I like it a lot. Its very Miami-ish. It will dominate the east end of Downtown Austin. 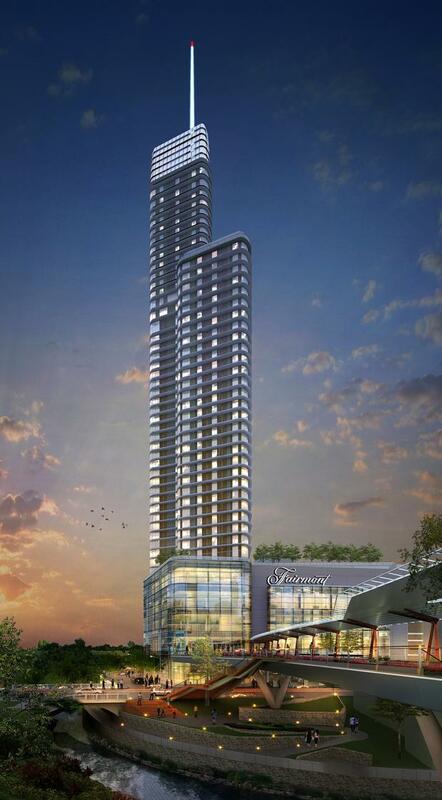 Luxury management company Fairmont Hotels & Resorts will be the operator for a $350 million convention hotel planned for downtown, making Austin only the second Texas city to feature the famed brand, the company told the American-Statesman on Tuesday. Fairmont said it will manage the 50-story, 1,000-room hotel for which Manchester Texas Financial Group plans to break ground early next spring, with a projected opening in 2015. Manchester will build its hotel — to be named the Fairmont Austin — on land that is now a parking lot at East Cesar Chavez and Red River streets just east of the Austin Convention Center. 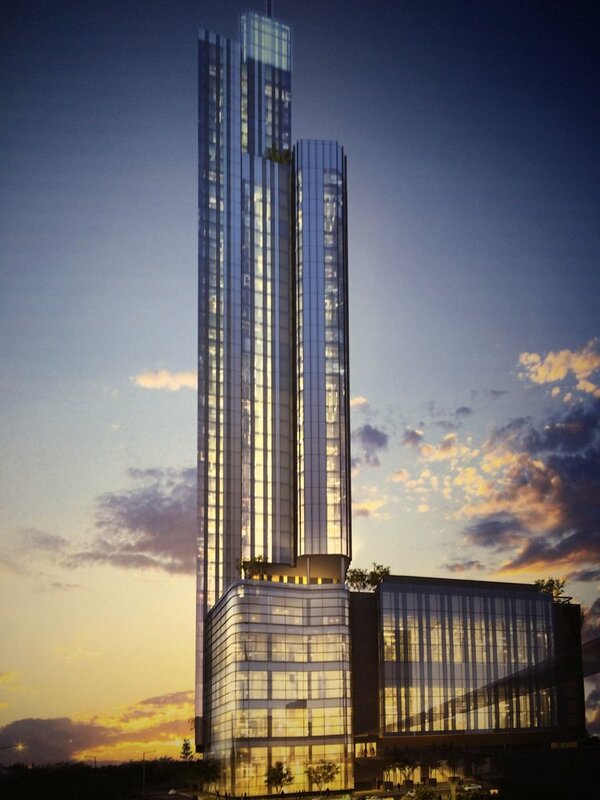 At 580 feet, the hotel would be the second-tallest building in Austin's skyline, after the 56-story Austonian. Its a CONVENTION hotel? Too bad Houston builds short squatty ones. How tall will this be? I like the design. Reminds me of Trump tower in chicago. Any bets on when Austin will surpass Houston as the largest city in the state? With the Houston area currently adding twice as many residents as the Austin area annually, it wouldn't be anytime soon. 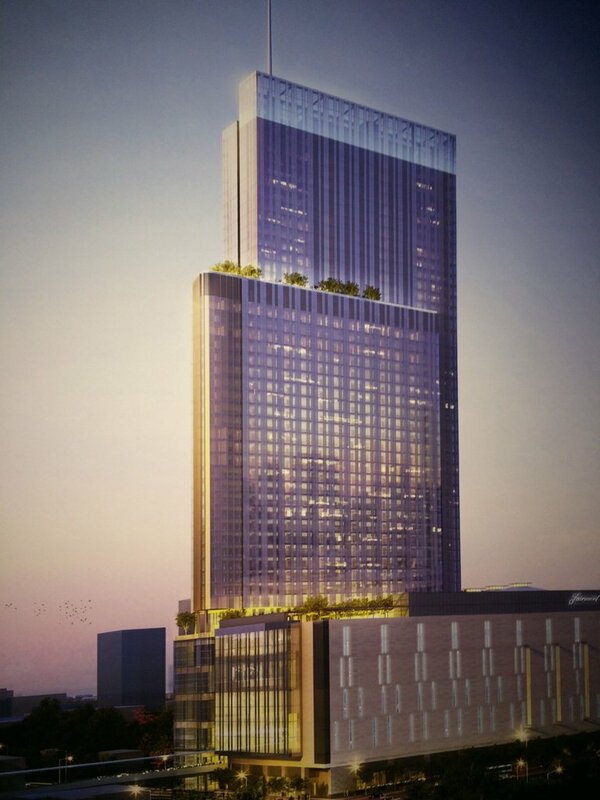 As for the height, according to the post above, it says it will be 580 ft. tall. It seems the trend is thin & tall. Good for Austin, their skyline has changed so drastically, I only wish the same for SA. 581 ft. to the roof and 700 ft. to the top of the spire. my money is on sometime next week. but seriously.... is that a real question? second time i've seen you post it. So jealous of the towers Austin has been putting up. Makes me hope that the next convention center hotel in DT Houston isn't the same boring box as the Hilton. The Embassy just looks worse in every picture I see it in. Depending upon what type of destination you are looking for - I know there are a lot of tech companies up around the intersection of I-35 and Highway 183 in the north part of Austin. It's kind of like our Energy Corridor except for Austin's tech group. I think out towards the west side there is a fairly large area of office buildings - Bee Cave Road, Highway 360 etc. But Austin has a lot of hills and aquafer recharge zones where no building can take place. That helps to concentrate downtown and I think is helping them to go vertical quickly. Wasn't there an rule or gentleman's agreement that no building downtown could be taller than the capitol? I think that once that was broken also - there has been a rush of pent-up demand. That is a nice-looking hotel. Wasn't there an rule or gentleman's agreement that no building downtown could be taller than the capitol? I think that once that was broken also - there has been a rush of pent-up demand. Basically I am speaking of any place that might compete for mid/high-rises. 2) The resorts. From Hyatt's Lost Pines in Bastrop to Horseshoe Bay Resort on LBJ to Lakeway on Lake Travis and Lake Austin Resort and Spa. Think Woodlands Resort and Conference Center and the Hilton in Clear Lake for examples. There has been a rush of Austin as a national feel-good destination. Austin's office market is still low-rise, as you would expect from tech and institutional tenants; and its downtown office market, its office building skyline and its metro area are still smaller than Fort Worth's. Hospitality and residential are the accumulated demand, and they're not pent up from longtime Austin residents but the recently interested. The real pent-up demand is among institutional investors for real estate projects to invest in in a place with good fundamentals like Austin. It’s scheduled to open in June 2016, about a year after the 34-story, 1,000-room JW Marriott is delivered. New design. Construction to begin soon. 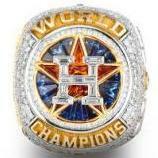 That's better, more like our squatty ones in Houston(sarcasm). Still better than either of the ones we have. Last time I was in austin a few weeks ago I was told that this one may not get off the ground. These new renderings would seem to indicate otherwise, though. I know very little about Austin, but my theory is that downtown is the only place in the metro that you'll find skyscrapers, therefore they're taller and better designed. Add me to the jealous crowd. Geez Houston, lets get a hotel that puts us in the big league. Not so subtle reference to possible upcoming Hotel Project(s) in HBJ today. Austin has specific zoning regulations that keep highrises from being built outside of Downtown which is why Austin's Downtown is growing up so rapidly. This hotel is on track for groundbreaking in a few months. Interesting take but Austin has become more than a feel good destination since you posted. Not only in national and international events but also in convention business. So many of the larger conventions have wanted to go to Austin but the lack of hotel rooms kept them from coming. The question of whether Austin can have two convention center hotels is pretty clear now. The JW Marriott is still under construction and it is already booked up through 2020 with conventions. That sends a clear message that Austin can indeed handle another 1,000+ hotel. The office market in Downtown Austin is the tightest in Texas last I saw although I will verify that to be sure. You are correct for many years our office towers have not been much to look at but we are seeing major movement on office tower construction. Austin is no longer dominated by just high tech and institutional companies. With the huge progress and change we have seen in Downtown Austin over the last decade, Downtown is where everyone wants to be. Tech companies normally located in low rise office parks have relocated into Downtown office buildings, more are on the way. 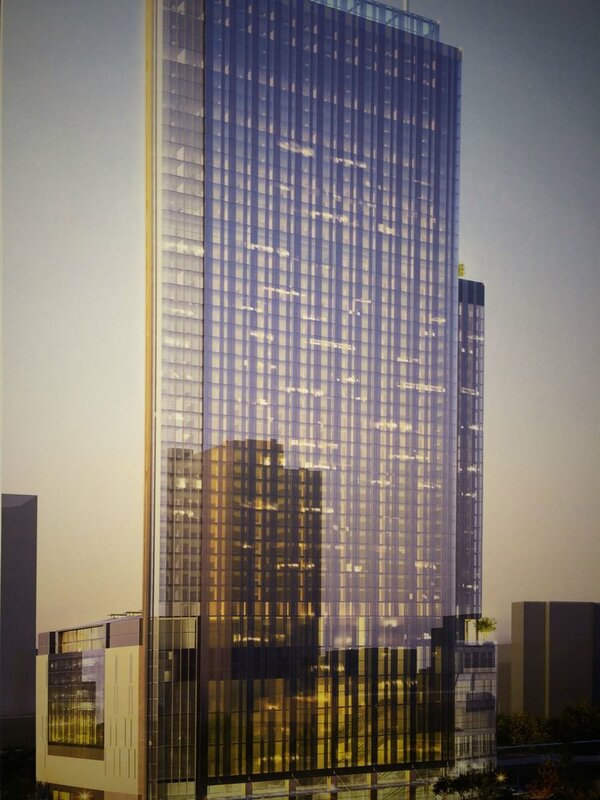 Other economic sectors are rapidly growing pushing the need for talket office towers with more square footage. There are 3 players in particular that will likely add a significant office tower to Downtown in the next 2 years. One the Green Water Site, the second would be Chicago based Magellan which has already indicated they want a tower of at least 50 floors, and the Waller Center Towers. With these new projects on tap, Austin's office tower presence will definitely be more noticeable and more competitive. Fort Worth may still have some larger office towers compared to Austin right now but there is no competition with comparing our full skylines. Austin wins hands down and is firmly the 3rd top CBD skyline in Texas. Downtown is no longer just a CBD, its a neighborhood with a larger residential population the Downtown Houston's and Dallas's combined. Its the entertainment destination for the city. 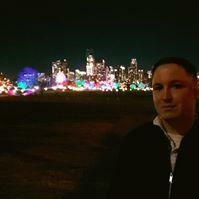 You can walk in Downtown Austin at 3 a.m. and there's lots of people out and about. Also Fort Worth would have a bigger metro since its lodged with Dallas. Its the largest metro in Texas. Austin by 2050 may have the population Houston has now which is what all indicators are telling us but Houston will continue to be the largest city in Texas and that's fine by me. It's not always about size, its about quality and I think that Austin has made huge progress in that area. very well interpreted. as i cannot help but agree upon all levels. austin, has always been a very beautiful city for sure... but now, it has taken the term "cosmopolitan" off the charts. everyone loves austin, and there is a reason behind this... the city is becoming fabulous! So, does "Texas' metro markets" really boil down to Austin, plus to a lesser extent, Dallas? Or just Austin. That statement seems a bit overblown to me. I agree that the concept hasn't really been tried in Houston, aside from the apartments atop the Four Seasons Hotel here. And ... for that matter, are there any other significant such places that exist in Austin, other than the Four Seasons and the W? I know others may be in the pipeline, but I just wanna not be misled by the hype. We have multiple highrise condo and apartment towers in Downtown like the Austonian which at 56 floors is the tallest all residential highrise west of the Mississippi River. As far as hotels with a residential component, the W and Four Seasons are the only two at the moment, however there are several other high end luxury hotels such as the Driskill and the Intercontinental Steven F. Austin Hotel. The Driskill is a gorgeous building built in the 1890s. Very upscale and Lavish. One of the gems of the city. The Steven F. Austin was built in 1924 and is also a beautiful building. There are also several high end boutique hotels such as Hotel Ella. The next hotel/residential combos will be a hotel ZaZa and a Hotel called the Van Zandt which is currently going up next to the Shore residential tower in the Rainey Street District. The condo and apartment high rise market here continues to explode with multiple projects under construction right now and more will start going up later this year.